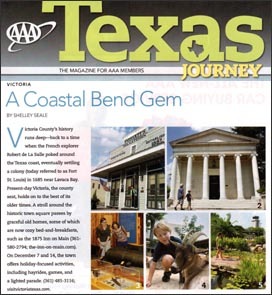 I just got the Nov/Dec 2013 issue of Texas Journey, in which five of my photos appear. 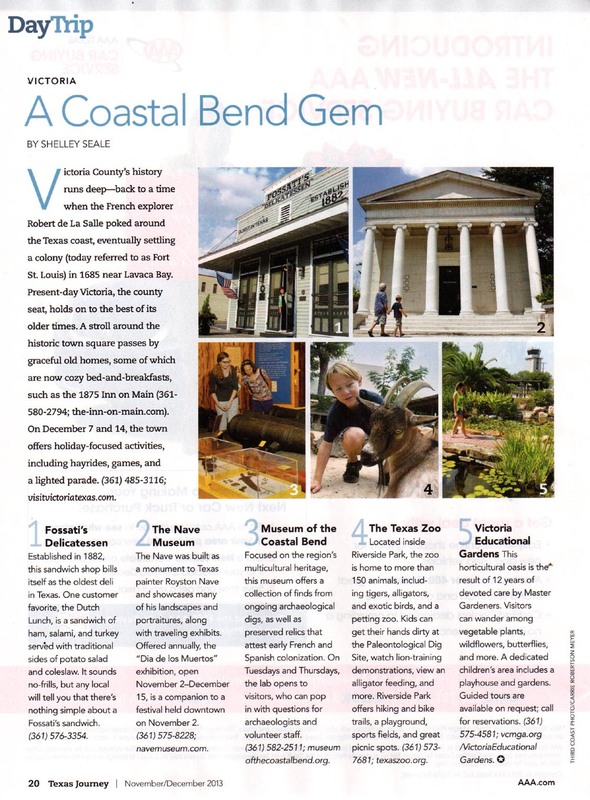 The magazine sent me on assignment last month to illustrate an article on what there is to do in Victoria, Texas. I shot five different attractions that, put together, make a great day trip.